If your teen has been charged with retail theft, Contact a Farmington juvenile theft lawyer who can help you and your child. Retail theft is a serious offense under Utah law, regardless of the value of the item stolen. If your teen has been charged with shoplifting, it’s imperative you hire experienced legal representation. People can be accused of shoplifting, even if they have not left the store. 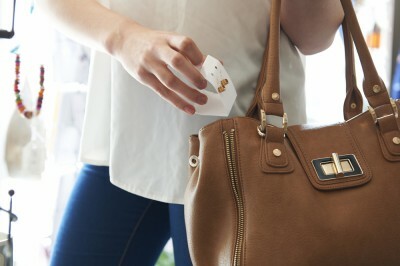 If you put an item in your pockets or purse, even if you plan to pay for these items later on, you may still be accused of shoplifting. Some people don’t know what to do under such circumstances or what to expect. A Farmington juvenile theft lawyer will be able to explain in more details what your legal options are when accused of shoplifting. If you are caught shoplifting at a retail store, the shopkeeper has the legal right to detain you. It doesn’t matter if you are innocent or not, you can be detained and kept in the backroom for some time. You will be asked a variety of questions about the merchandise and label. The shopkeeper may also request to search your purse and you have the right to not consent. Sometimes they call the police sometimes they don’t. Also, you may not be allowed in that particular store any longer. Returning to the store without legal permission is a criminal offense of trespass. While the shopkeeper will keep asking you questions, you must insist that you will not answer any questions without your Farmington juvenile theft lawyer present. A criminal defense attorney is very important in these types of cases. Keep a card of your attorney with you and demand an attorney immediately. This is physical prove that you requested your attorney to be present. Shoplifting cases are generally handled by the Utah Court System. If you have a history of retail theft you may be facing felony charges, which means jail time and costly fines. These types of cases are very rare. It’s generally people struggling with other things, besides kleptomania. Just remain calm and don’t reveal more information, besides your identity. Don’t allow the police search your purse or personal belongings, and request your attorney be present. Class B Misdemeanor – When the item stolen costs less than $500, and you are proven guilty, you will face a jail sentence of 6 months and pay $1,000 in fines. Class A Misdemeanor – If the item stolen was more than $500 but less than $1,500, and it was stolen in a place where the offender has committed similar offenses over the past five years, and also if the store had trespassed the offender. If your teen has been charged with retail theft, you also need to think about the negative impact these records can have on his or her future. It may impact future employment and career opportunities. At Jardine Law Offices we are prepared to answer any questions you may have regarding your juvenile criminal case. Whether you are guilty or not, we are here to protect your legal rights.